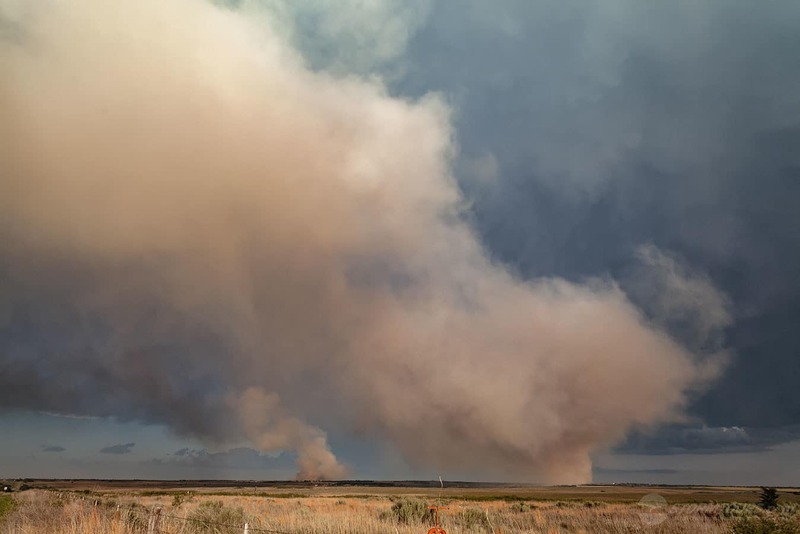 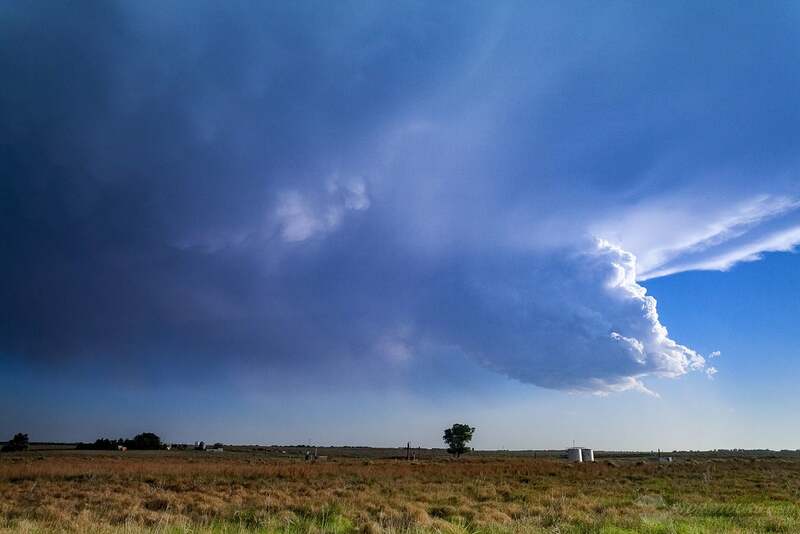 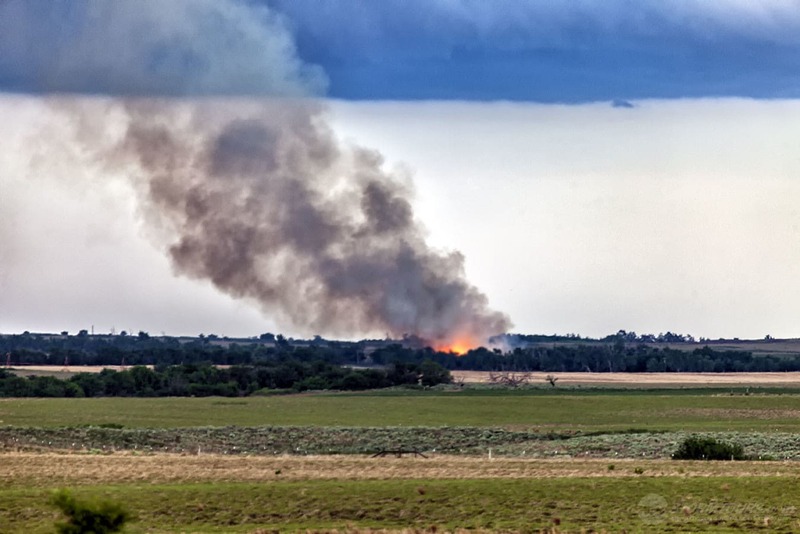 While not the type of weather event that we expect to see, Tour 2 witnessed a common and extremely dangerous result of lightning when a low-precipitation supercell started several wildland fires north of Allison, Texas. 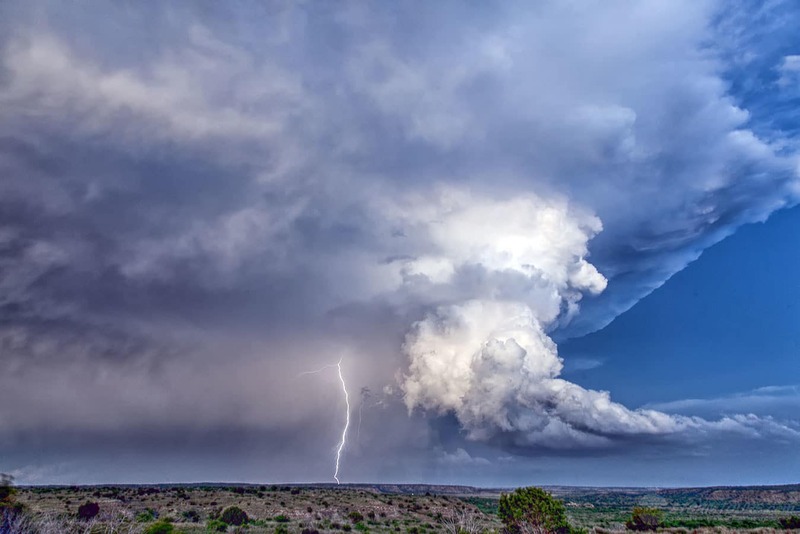 Lightning is a major factor in wildland fires, and the average number of acres burned per fire is much higher in lightning fires than in fires that are caused by humans according to statistics from the National Fire Protection Association. 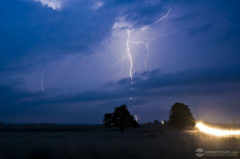 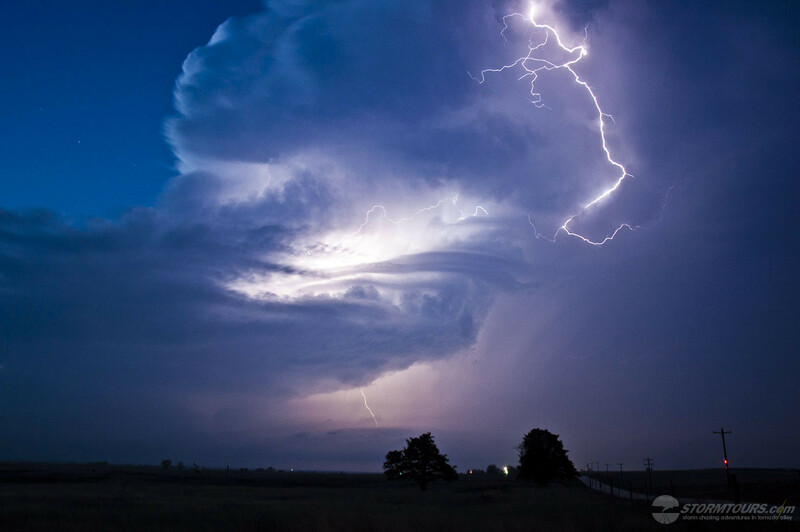 In additional to causing fires, lightning strikes are one of the biggest risks associated with thunderstorms, and this would also include storm chasing since we’re often with the range of a lightning strike. 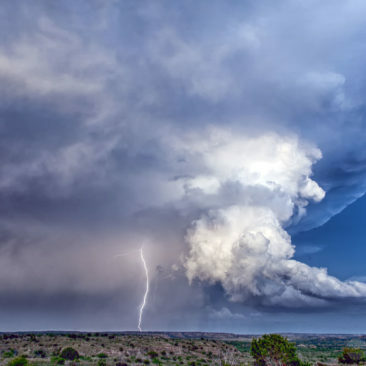 The general rule-of-thumb is: if you can hear thunder, you’re close enough to be struck by lightning. 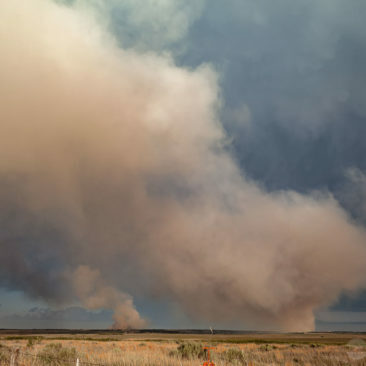 Much of the Texas Panhandle has been rain deficient for several years now, so it doesn’t take much for a wildland fire to get started. 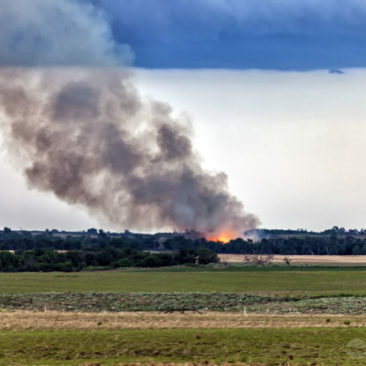 We stood in awe as lightning was hitting the ground around us and nearly every lightning strike was setting off a new fire to the point that local firefighting crews were getting overwhelmed while some fires flared up from a spark to engulfing small forested areas within mere seconds. What a day this turned out to be! 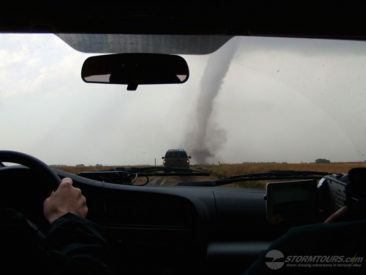 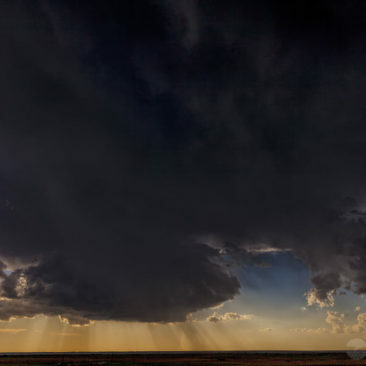 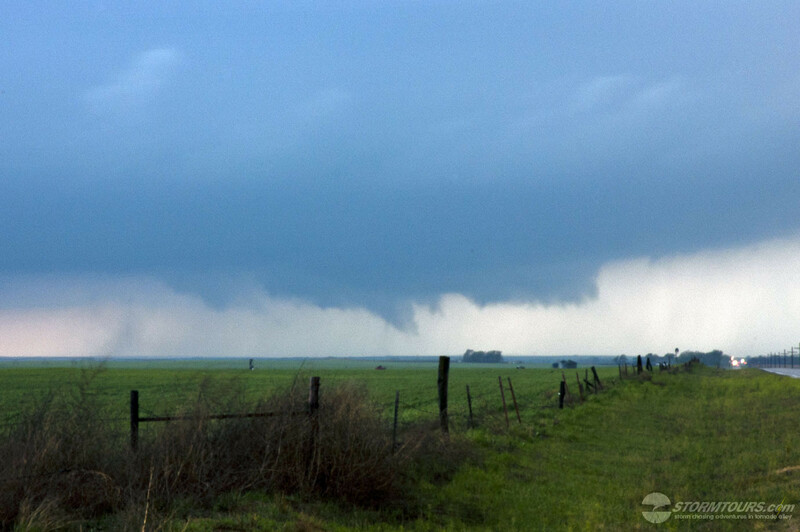 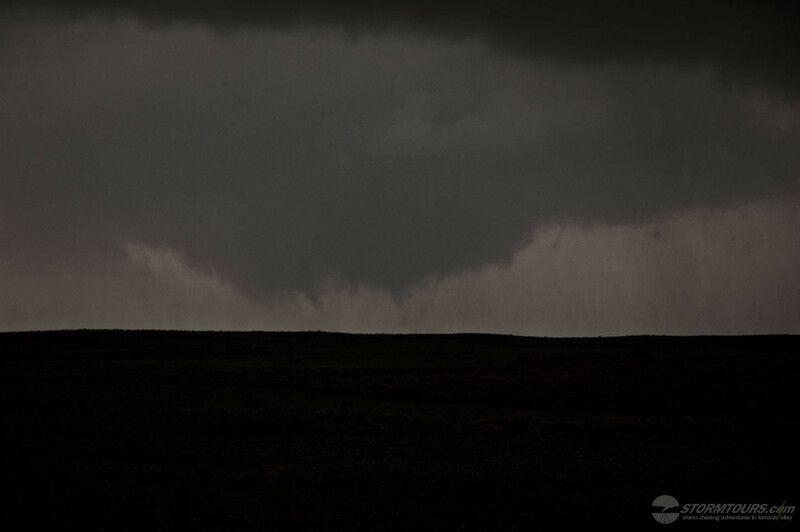 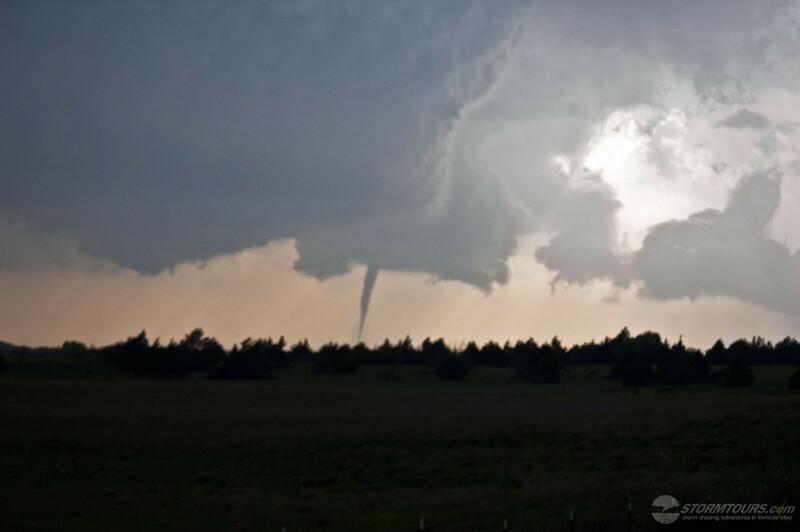 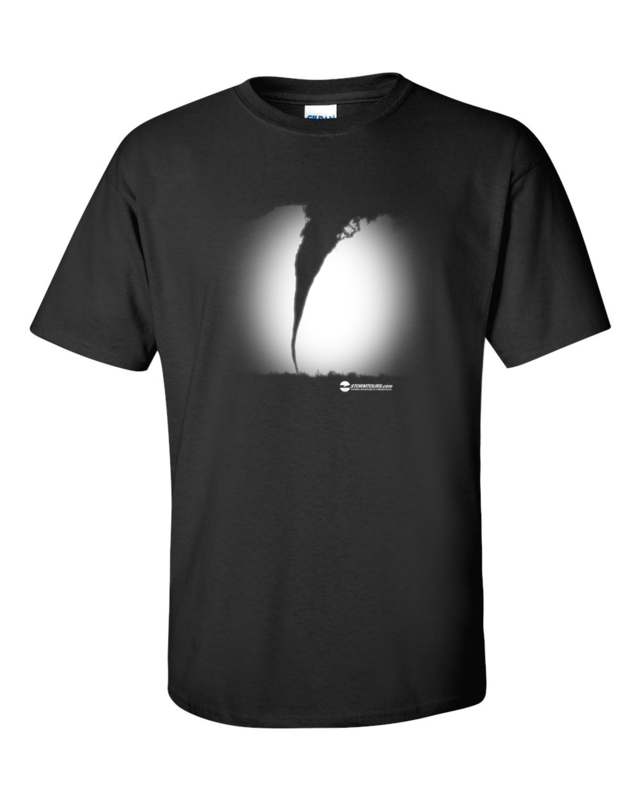 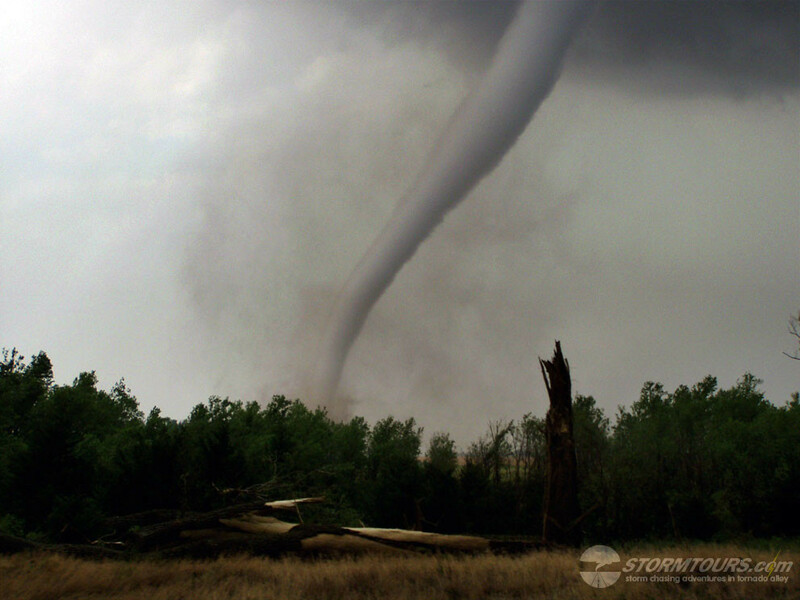 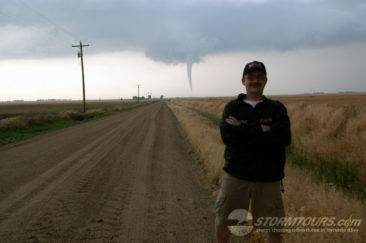 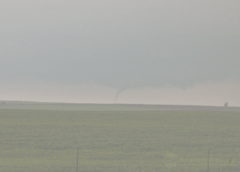 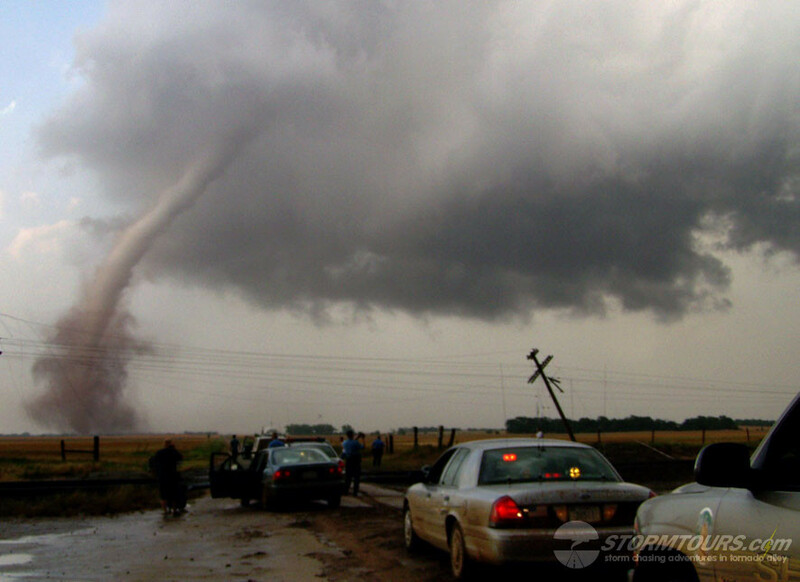 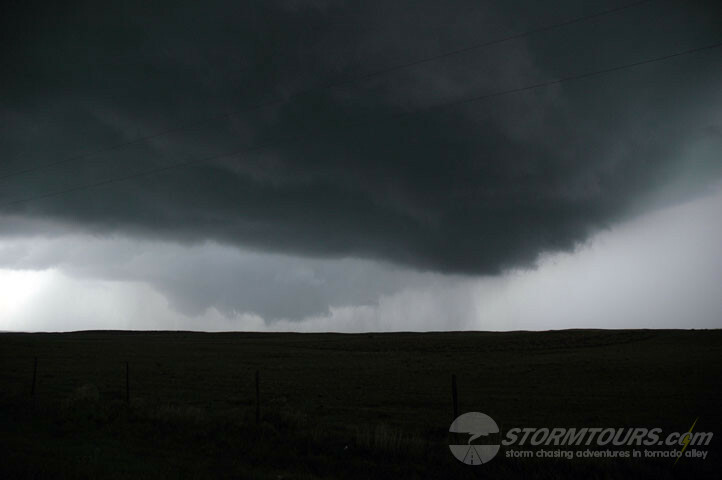 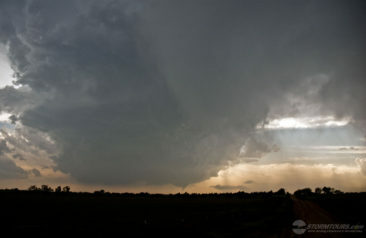 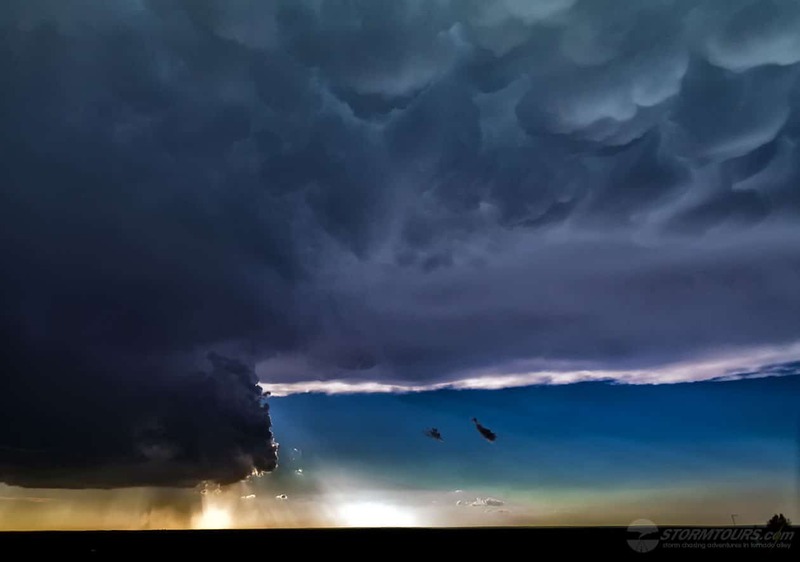 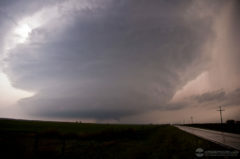 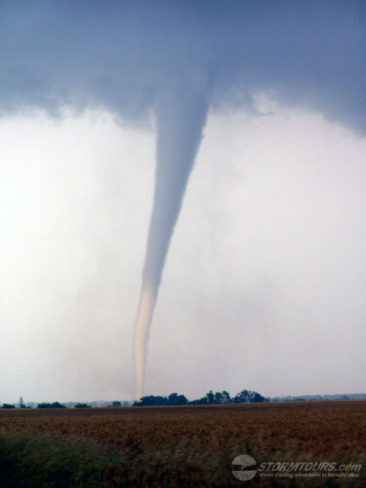 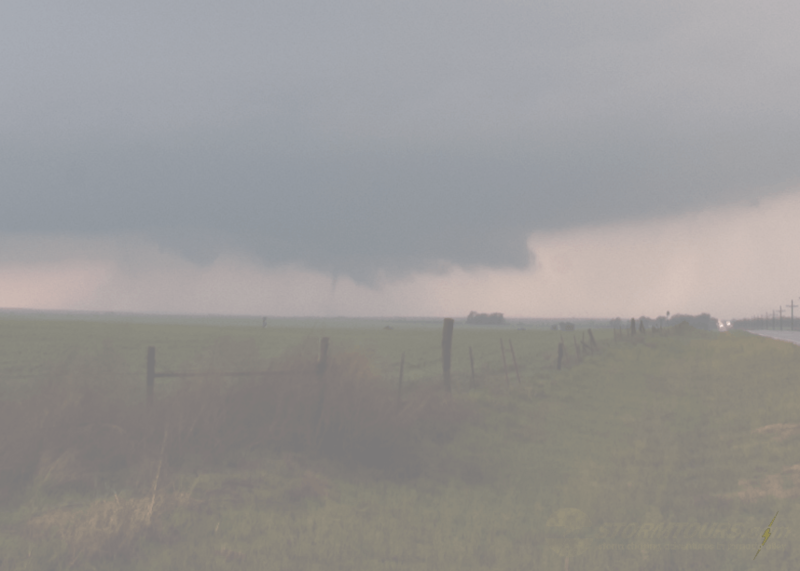 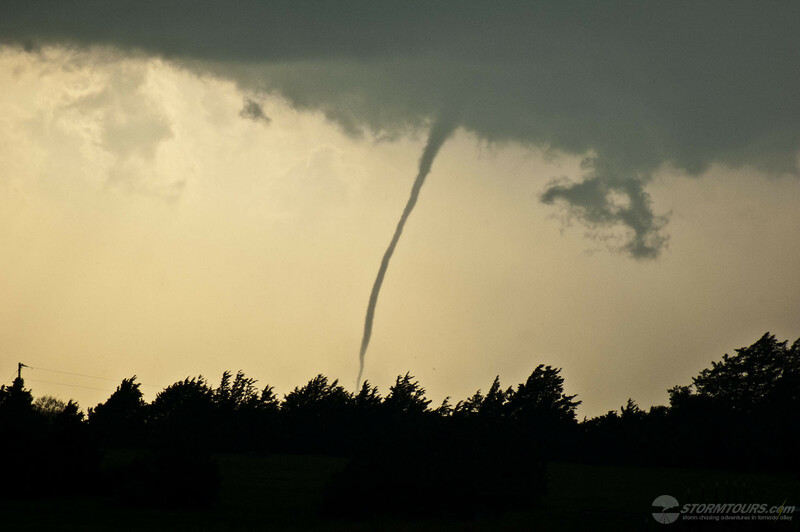 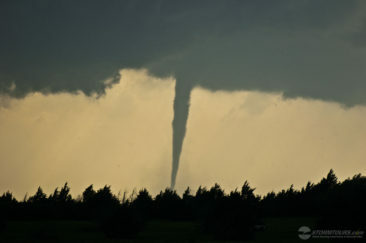 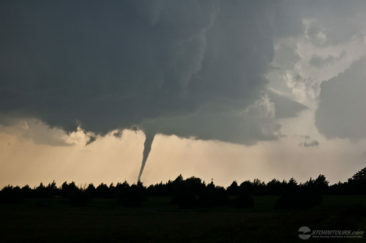 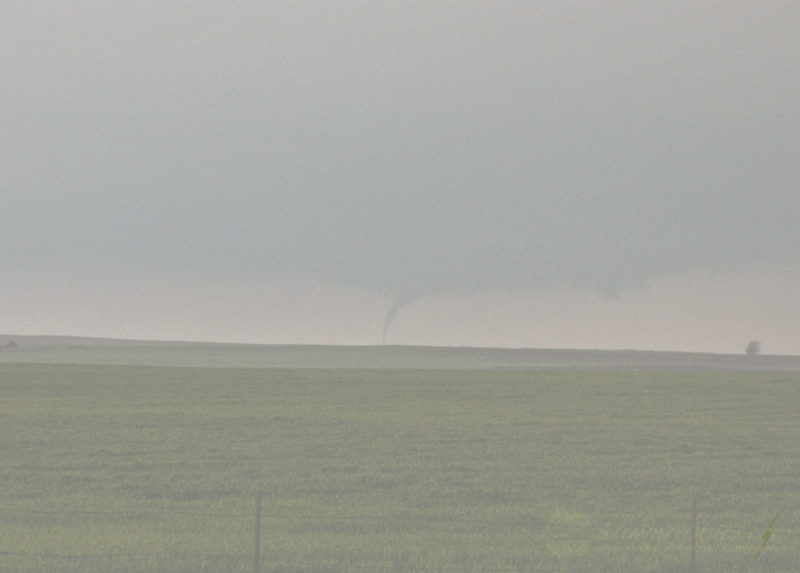 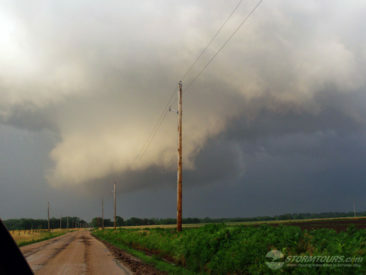 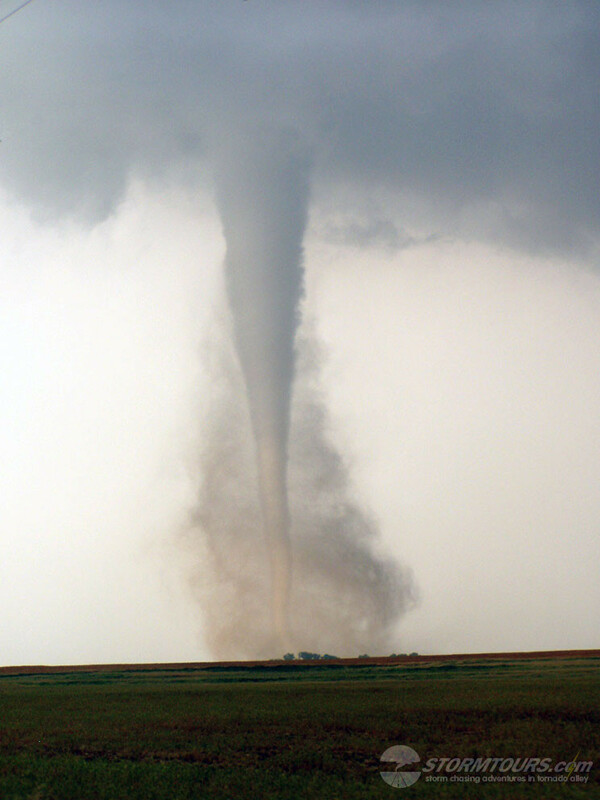 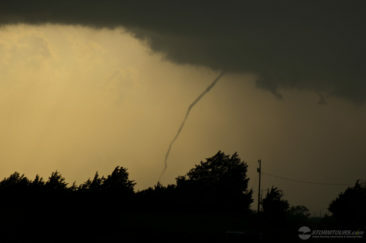 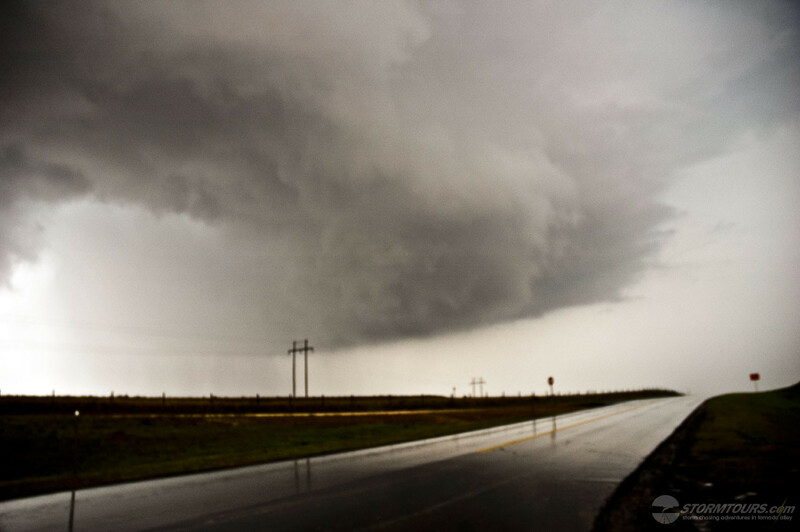 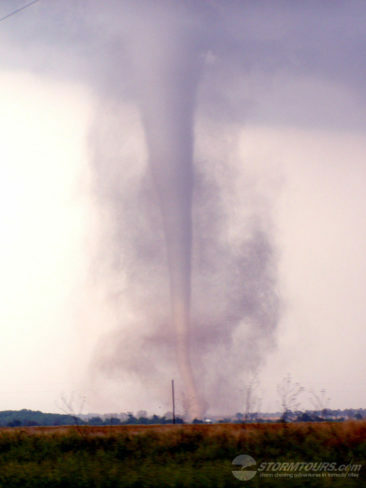 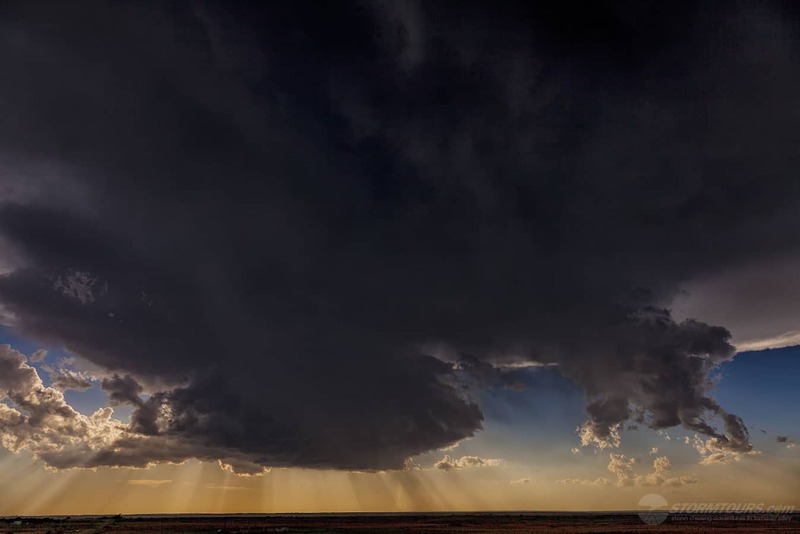 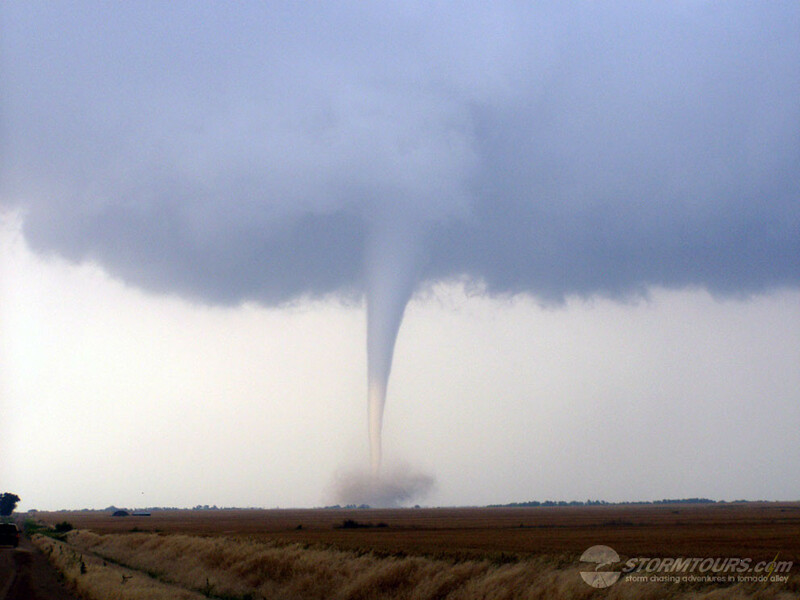 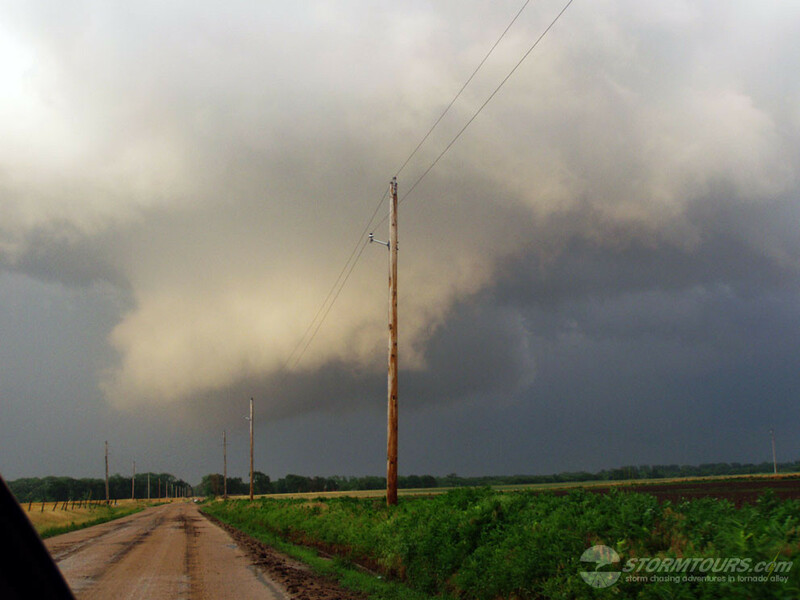 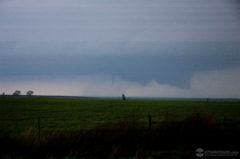 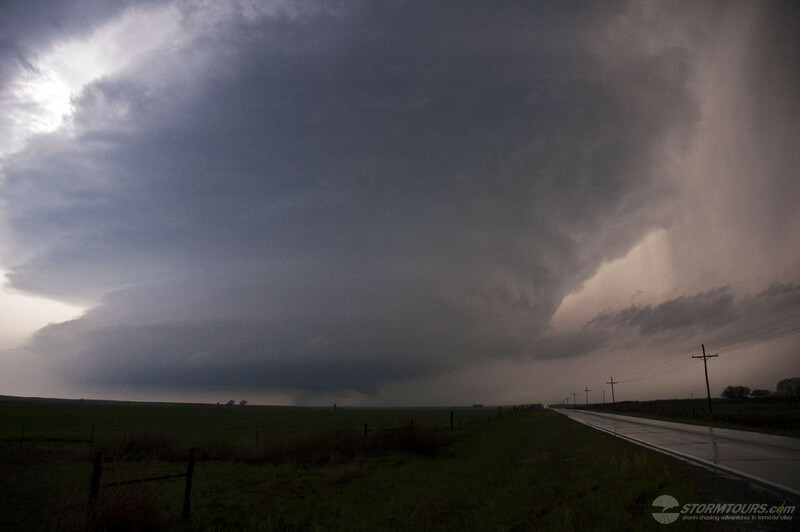 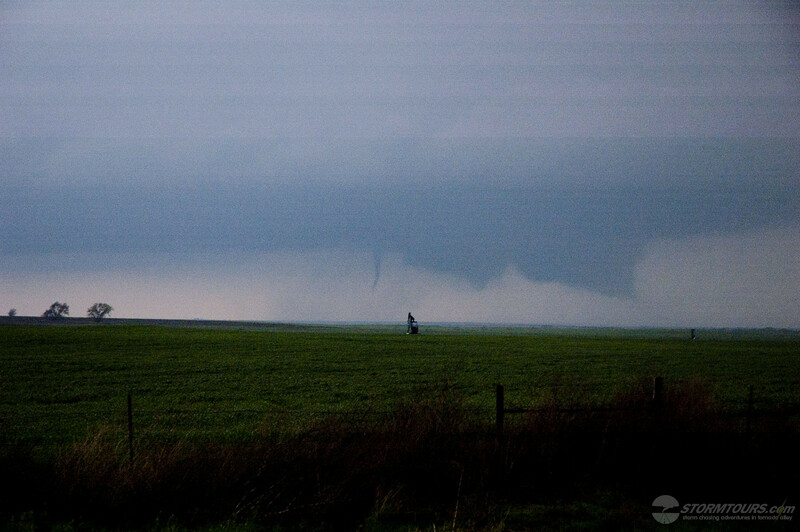 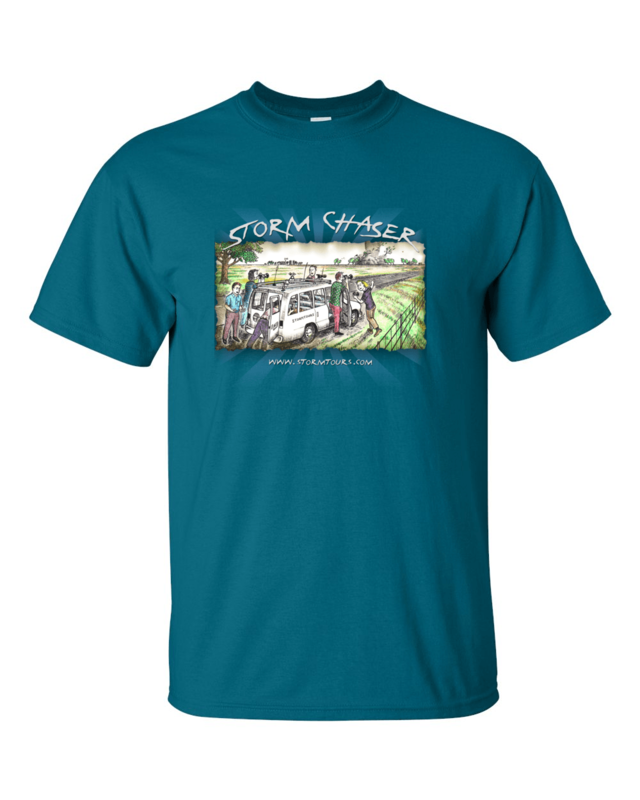 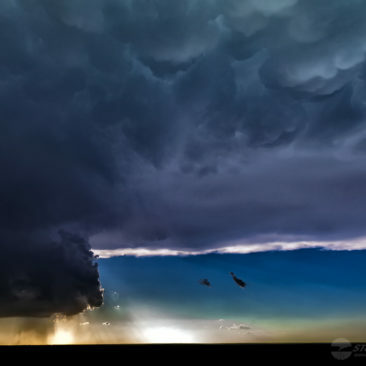 Not only did the folks on Tour 2 get a closeup and personal meeting with a tornado on the 21st of April, but just 2 days later they saw 7 tornadoes in Southwestern Kansas on the 23rd. The day presenting many challenges with a few different interesting target locations, either in the Texas Panhandle or in Southwestern, KS. 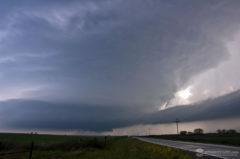 The day required intense monitoring of every little detail throughout the afternoon, my original target was the Texas panhandle, but it became evident my early afternoon that it was the wrong play and we repositioned on the second area of interest in southwestern Kansas and northwestern Oklahoma. 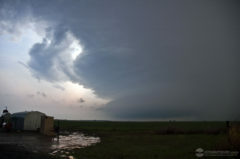 Our first storms of the day were intercepted near Buffalo, Oklahoma where we witnessed our first brief tornadoes of the day (I believe there were three out of this storm) just to the north. 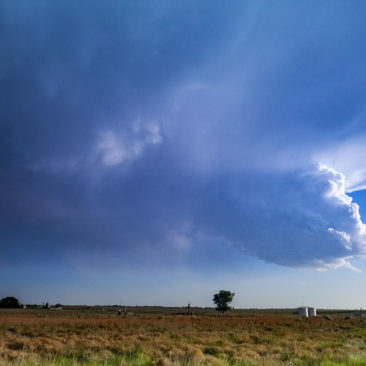 That cell died out, a new cell formed on its southern flank and we shot north to meet the cell as it crossed into Kansas due to limited road options. When the cell finally caught up to us it went crazy and produced tornado after tornado for a show that lasted several hours. 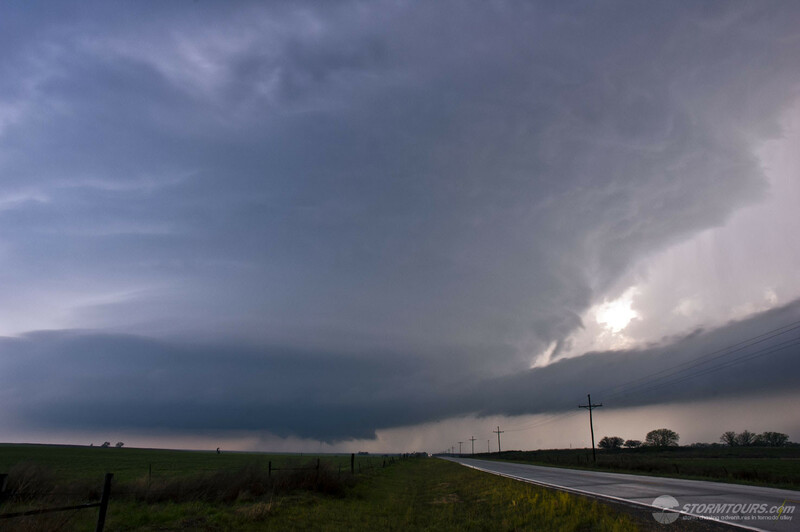 We caught a total of at least 7 tornadoes between these two supercells and spent much of the early evening hours photographing lightning out of this thing as it moved away from us to the northeast. Overall – an incredible day for an already incredible tour!